FreeHand, a rival to Adobe Illustrator, was a PostScript drawing program developed by Altsys and licensed to Aldus. Graphic artists and designers preferred Illustrator, while technical artists and mapmakers gravitated to FreeHand. Its interface was more discoverable than Illustrator's, which made it more accessible for semi-regular use. When Adobe bought Aldus, the program reverted to Altsys, which later sold it to Macromedia, and the eventual purchase of Macromedia by Adobe spelled the end of FreeHand development. Even though, in some cases, some of this "lost" software is still sold, most of it is long gone -- sometimes the parent company went out of business, sometimes a competitor bought it and killed it (or bought it to kill it), or it becomes a victim of changing standards. Here's to those we miss. 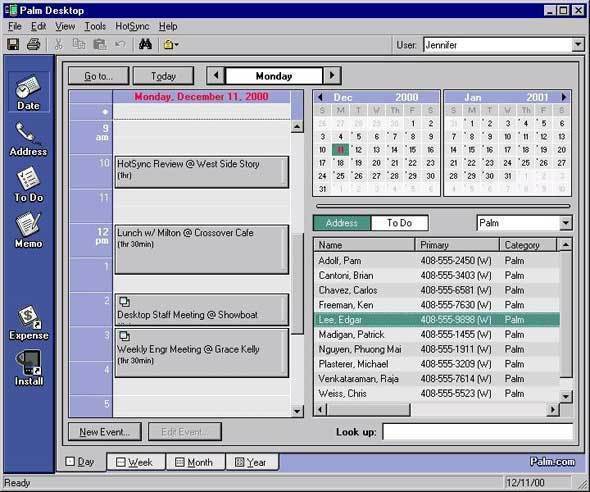 A repository for personal information, Palm Desktop was the desktop program that synced calendar, contacts, and other information with Palm PDAs. But it also worked pretty well as a standalone PIM in its own right. Only recently orphaned, the latest Windows version officially supports Vista (though the company support page says, "many users have successfully installed and run Palm Desktop 6.2 software with Windows 7"), while the latest Mac version does not work with OS X 10.6. The Web is full of desperate pleas from users needing to reluctantly move their data out of Palm Desktop into something else. There's a place, one would think, for an easy-to-learn basic Web site creator. But in an era dominated by Adobe Flash and Dreamweaver, such a program is hard to find. GoLive, which debuted for the Mac in 1996, has been called "the only advanced Web site creator that non-gear-heads could understand." Users assembled Web sites by dragging and dropping elements in a WYSIWYG environment. Adobe purchased GoLive Cyberstudio in 1999, renamed it Adobe GoLive, and released a Windows version. But once it acquired Macromedia and the more capable Dreamweaver, it no longer had room for CyberStudio. 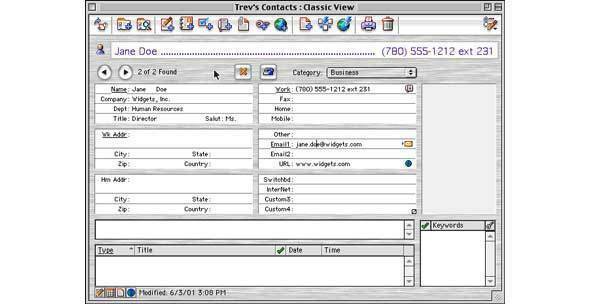 It might be hard to believe that a contact manager and calendar program could inspire such loyalty and affection, but this software wasn't always part of a standard PC setup. When Now Software came out with Up-To-Date and Contact in the mid-1990s, it opened a new world of possibilities to Mac users. They could view their networked colleagues' calendars and schedule a meeting for everyone at once or drag a contact name onto a calendar to create an appointment. The programs never made a smooth transition to OS X, however, and development finally halted this year. Another Mac utility, Symmetry Acta started life as a Desk Accessory -- a small program launched from a special menu -- and did what seems like a simple thing: outlining. But as one reviewer said, it "seems to be able to do everything, including jobs unforeseen by its designer," and people used it to organize information of all sorts. The program won multiple awards between 1988 and 1989, and a version for Windows came out in 1993. Now that word processors have outlining built in, there's not much of a market for a separate utility. 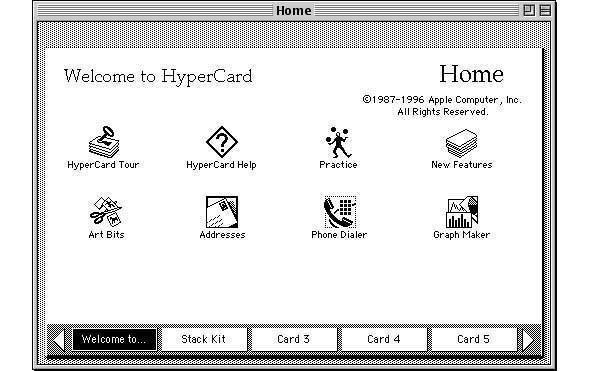 Back in 1987, when Apple released HyperCard, it was unlike anything most people had seen. The program was based on the metaphor of a stack of index cards that could be linked to one another, giving most people their first exposure to hypertext and hotlinks. Users created every kind of stack you could think of -- step-by-step instructions, foreign-language flashcards, band names and personnel, even games. Today, people turn to the Web, which wouldn't be what it is without HyperCard. If there's a theme to this nostalgia, it's that people particularly fell in love with products that helped them manage their personal information -- projects, appointments, contacts, and so on. 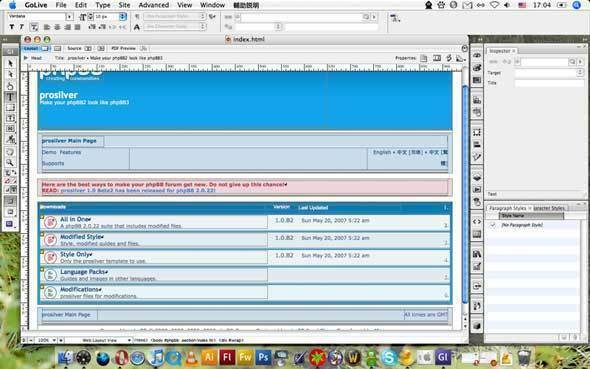 Ecco combined an outliner with a tagging feature that would eventually be familiar to users of Getting Things Done software or Evernote. You could make up any category tag you needed and then apply it to the entries on your list, which could include Web pages and text. You also could clip things to Ecco from other programs. It's still available from compusol.org/ecco -- but it's the 1997 version. It was just an email program, but sometimes all you want is to get your email. 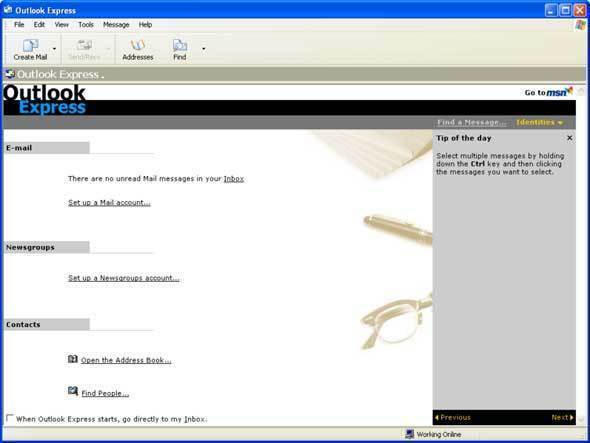 Compared with its big brother, Outlook, Outlook Express was lightweight and easy to use. The program was included with Windows up through XP, and came with Microsoft Office for the Mac through Office 98. Now people use any of a variety of free and paid email programs, but some of them wish Outlook Express was still around. 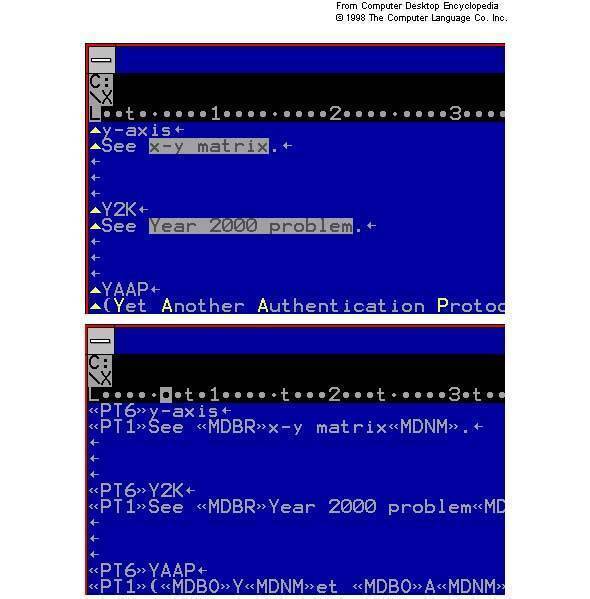 XyWrite was a word processor for DOS -- and, eventually, Windows -- modeled on the Atex mainframe text-composition engine in common use at newspapers in the pre-desktop publishing era. A writer would type simple commands into a command line to manage operations ranging from formatting to printing without ever taking his hands off the keyboard. You could also write custom command shortcuts and macros, which were widely shared. The program lives on, sort of, in the academic word processor Nota Bene. Available starting in 2003 for iTunes 4.1, OurTunes was an open-source Java-based utility for listening to other people's iTunes libraries on the same local network. The problem, but also the fun, was that it was a utility for copying files from those libraries as well. iTunes 7, released in 2006, changed its authentication scheme and broke OurTunes. 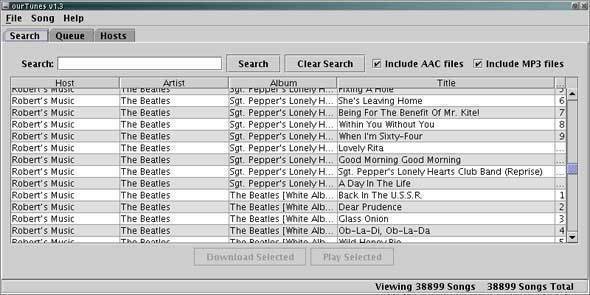 iTunes has long permitted streaming music from shared libraries, and version 9 added the ability for a limited number of computers on a sub-network to copy each other's files. But the "free for all" nature of OurTunes has not been duplicated -- and isn't likely to be. Javelin was created in 1984 to be the next-generation spreadsheet. It broke the data free from their cells -- the data were called "variables" and were objects independent of their place in the grid. Variables could be connected to each other as well as to text and images, and actions were performed on the objects, not on the cells. The product won numerous awards, and the story is told that at one software awards ceremony, Javelin's win over Excel caused Bill Gates to storm out in disgust. 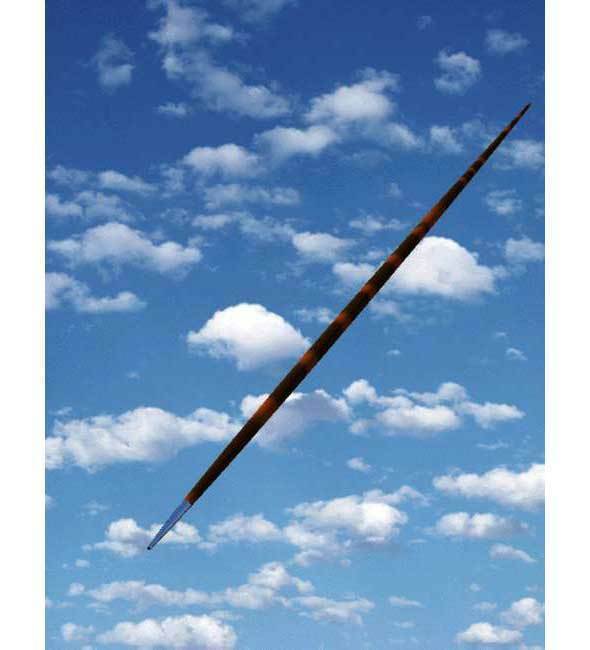 Javelin was purchased by Oracle in 1994, which spelled the end of the product. 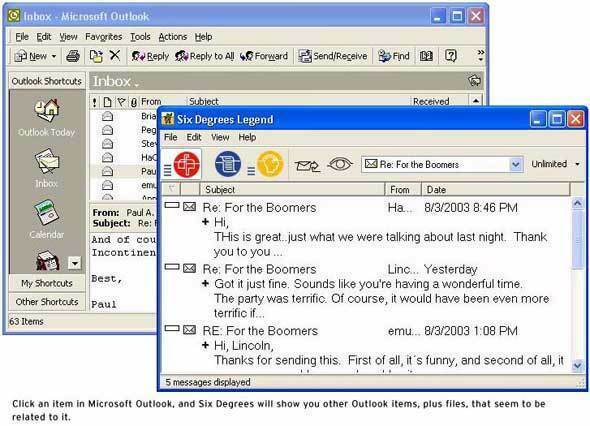 Six Degrees was an email-based productivity and organization tool, based on the idea that the framework of most business communication and collaboration was email. The program would automatically group messages with similar subject lines and attachments with similar keywords and provide a sort of dashboard for tracking messages, files, and people by project. Debuting in 2002, the program was probably slightly ahead of its time; also, it was marketed by Creo, a prepress company not known for standalone productivity software. These days, social networking features in collaboration tools try to fill the same role. Improv was another attempt to move beyond the basic spreadsheet model. Pioneered by an advanced technology group within Lotus in 1985, the goal was to make spreadsheets not necessarily easier to use, but easier to create. 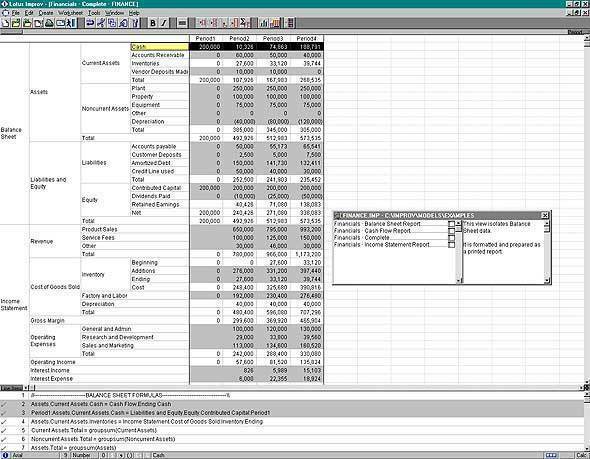 As with Javelin, Lotus developers separated the components of the spreadsheet -- the data from the cells and the formulas. Steve Jobs was an admirer, and Improv became one of the most popular applications on Next computers. A Windows version arrived in 1993, but it was just too different from what people expected from a spreadsheet. Nevertheless, a derivative of Improv called Quantrix is still used in financial environments. XTree, introduced for DOS in the mid-1980s, was an early attempt to put a graphical interface on PCs. 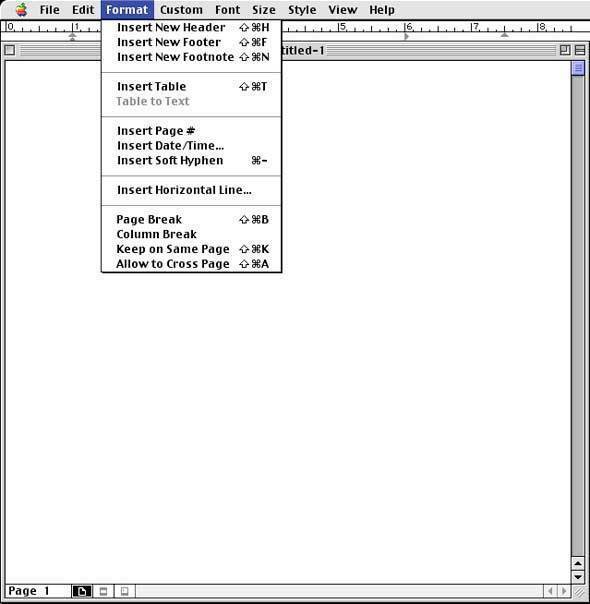 XTree presented a Windows Explorer-like view of the computer's file system and provided -- according to its manual -- "commands to access, delete, rename, view, move, list, or show any and all files within any and all directories on your floppy and hard disks." The software still has an XTree Fan Page containing the product history, tips and tricks, and so on. 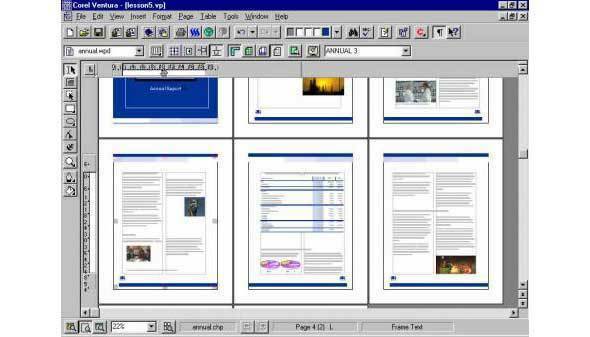 Corel still sells Ventura Publisher for Windows, though the latest version dates to 2002. But the one that users remember fondly came out in 1986 and included a run-time copy of Digital Research's GEM graphical interface. It was speedy even on the PCs of the time, in part because rather than building one big file with everything in it, it created chapter files that contained instructions on how to format the source files, which remained in their native formats. Corel acquired the application in 1993, but its versions never caught on, especially as word processors got more page layout features. Mac users still speak fondly of the word processor WriteNow, which was available soon after the Mac's debut. It was known for its speed, its ability to handle long documents, and the inclusion of then-advanced features such as spell checking and footnotes. The application was eventually ported to the Next and shipped with Next computers until 1991. What finally doomed it was what made it great: It was originally written in Motorola 680x0 assembly language, which is why it was so fast, but it proved difficult to port to the Mac's new processors.